TELUS will be looking to bolster their Android lineup with two phone aimed at two different markets. One of the phones TELUS plans to launch is the LG Optimus Black while the other is the INQ Cloud Touch. Both phones should be hitting TELUS sometime this summer before the start of the new school year. The LG Optimus Black is a powered 1GHz TI OMAP CPU with a 4-inch 800x480px capacitive NOVA display at a slender 9.2mm. 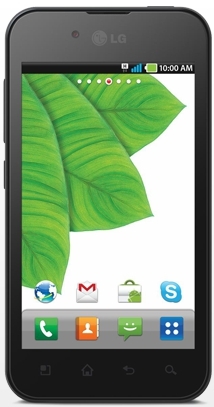 This phone is also touted as the "Skype Edition" which will probably have some exclusive Skype related features. The INQ Cloud Touch is powered by a 600MHz Qualcomm CPU with a 3.5-inch 480x320px capacitive touch screen. 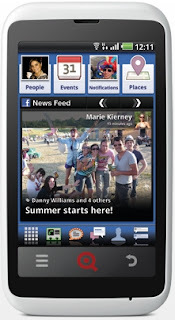 This is one of the rumored "Facebook" phones that cause a bit of a stir in the tech world. While the specs seem a bit underwhelming it certainly will do the job for those looking for a phone with tight Facebook integration.